Are you unsure of which bitumen roofing sheets are the right choice for your project? Are you uncertain of which fixings and flashings you'll need with your bitumen roof sheets? Speak to our team online via the live chat in the lower right hand corner or call us on 01295 565 565. We will help you select the ideal sheets for your project and will ensure you have all the roofing materials you will require. 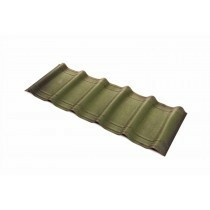 Bitumen roofing sheets combine a corrugated design and bitumen fibres to provide maximum durability. Due to them being lightweight and requiring few ancillaries, corrugated bitumen sheets are also incredibly DIY-friendly. Roofing Megastore stock bitumen roof sheets from three leading brands, including Coroline, Onduline and Corrapol-BT. These brands offer these sheets in all the popular colours and thicknesses from 2.6mm – 3mm. 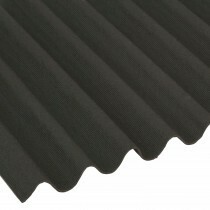 With our corrugated bitumen sheets offering up to 15 years guarantee, you can be assured of their durability. They are shown to withstand the weight of snow and other environmental debris. When fitted on a pitch of 5° or more, water will also run off with ease. Bitumen roofing sheets are also among the most environmentally friendly solutions. They are free of asbestos and safe for both homeowners and tradesman to install. This also ensures that it doesn’t cause any extensive damage to the surrounding environments. Have Questions About Bitumen Sheets? If you have questions about our range of roofing sheets, speak to our team by telephone or via the online chat. With over 40 years of experience in roofing, we’ll help answer your questions about bitumen roofing sheets. We will also help you pick the necessary fixings and flashings for your project. 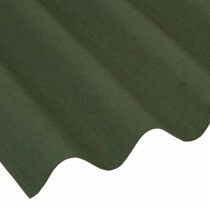 You can also view all our roofing sheets here, which include corrugated metal sheets. 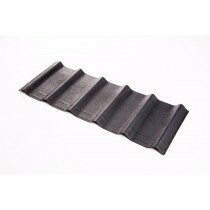 Bitumen roofing sheets are an incredibly versatile roofing material that’s easy to fit. 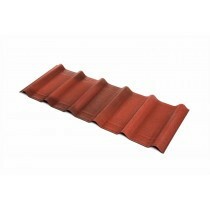 This makes them ideal for virtually any roofing project, whether you’re reroofing a garage or constructing a new shed. There are, however, a few common questions our customers ask before buying these roofing sheets. Below are answers to each of these! What Are These Roofing Sheets Made From? Bitumen roofing sheets are crafted from bitumen fibres only. This makes them incredibly lightweight and therefore easy to install. This material also provides superb longevity, with it being able to withstand tough weather conditions and varied atmospheric conditions. 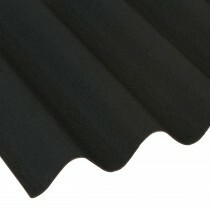 Unlike alternative metal roofing sheets, these bitumen sheets will not rust throughout their 15+ year lifespan either. Can You Stand on Bitumen Roofing Sheets? Whilst these roofing sheets are designed to withstand environmental debris and tough weather conditions, they should not be stood on for prolonged periods of time. This is as you may damage the corrugation and, therefore, impact the overall strength of the sheet. To avoid having to stand on these bitumen sheets during installation, refer to the manufacturers installation guide. Do You Sell Screws for These Roofing Sheets? The majority of manufacturers only supply and recommend nails. These are often purposely designed to prevent any water ingress around the head and anchor into a timber structure with ease. If you are worried about strong winds lifting your bitumen roofing sheets, use more than the recommend 20 fixings per sheet and also use the recommended foam eaves fillers. How Many Fixings Should I Use With These Bitumen Roofing Sheets? We recommend a minimum of 20 fixings per sheet. This should be increased if you live in an area with extreme weather conditions, such as strong winds. These fixings should be placed at equal intervals, as per the manufacturer’s recommendations. Why is there a Minimum Order Quantity on These Roofing Sheets? Some of our bitumen roofing sheets have a minimum order quantity. This is as transporting or delivering too few of the sheets can often result in damage. This is due to the 2mm – 3mm thickness allowing the sheets to flex when being moved in small quantities. Which Brand is Best – Coroline, Onduline or Corrapol? Coroline, Onduline and Corrapol roofing sheets are all crafted from bitumen fibres. The greatest difference between the three is thickness. Whilst Coroline and Corrapol are between 2mm – 2.5mm thick, Onduline roofing sheets are 3mm thick. This provides you with additional strength, although each brand provide a 15 year life expectancy for their bitumen sheets. How Much Do These Roofing Sheets Weigh? Bitumen roofing sheets weigh around 5kg per sheet. This is considerably less than other roofing sheets, such as metal. This low weight makes them easy to handle during fitting and doesn’t put any unnecessary strain on the structure. This makes them ideal for sheds or garden buildings where a minimal timber frame is being used. If you have more questions about our bitumen roofing sheets, speak to our team online or by telephone. With over 40 years of experience in roofing, we'll help answer your questions and will ensure you have everything you'll need to complete your roofing project.